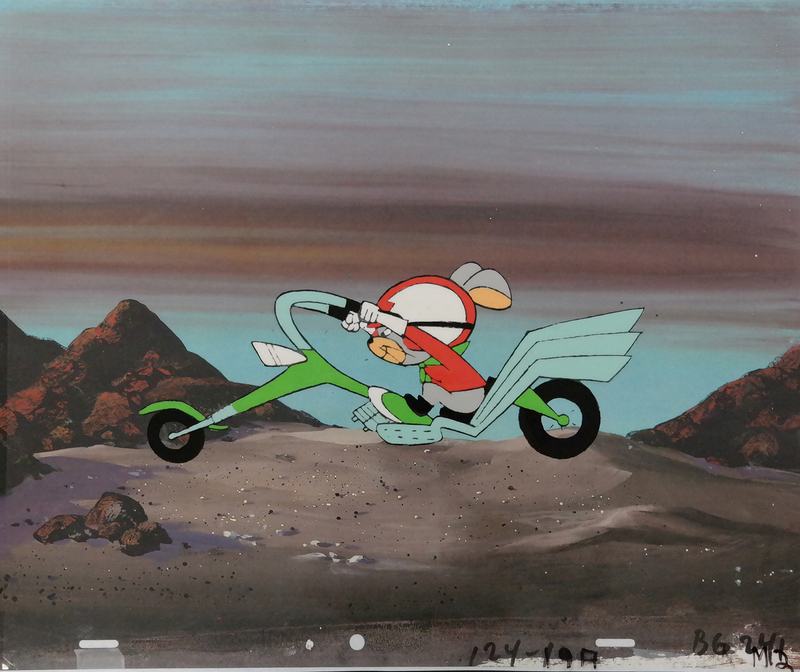 This is a great original production cel of Motormouse from the "Motormouse and Autocat" segment of Cattanooga Cats (1969). It is on a copy background. The untrimmed cel measures 10.5" x 12.5" and the image measures 3.25" x 7.75".